But, from the perspective of a historian of religion and civil rights, the true radicalism of his thoughts remains underappreciated. The “civil saint” portrayed nowadays was, by the end of his life, a social and economic radical who argued forcefully for the necessity of economic justice in the pursuit of racial equality. In a stark change from his earlier views, King devastatingly targeted White moderates willing to settle for “order” over justice. In an oppressive environment, he noted, the avoidance of conflict might appear to be “order” but in fact supported the denial of basic citizenship rights. He wrote how he was “gravely disappointed with the White moderate…who paternalistically believes he can set the timetable for another man’s freedom.” They were, he said, a greater enemy to racial justice than were members of the White supremacist groups such as the Ku Klux Klan and other White racist radicals. 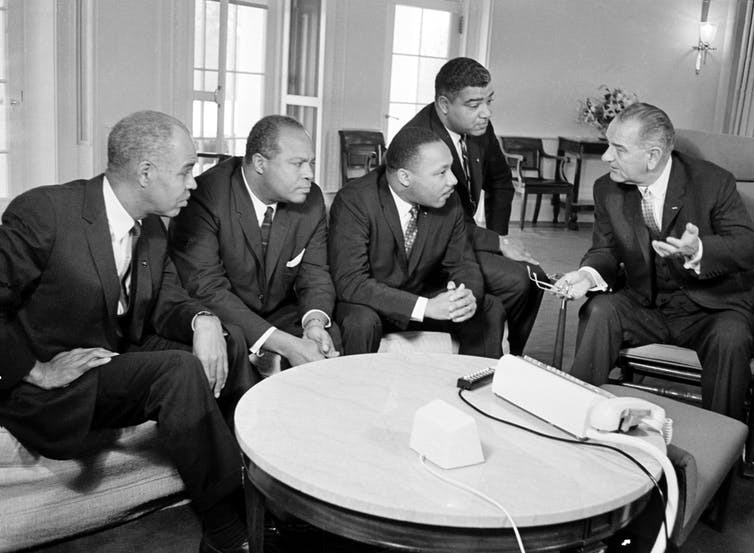 By 1967, King’s philosophy emphasized economic justice as essential to equality. And, he made clear connections between American violence abroad in Vietnam and American social inequality at home. 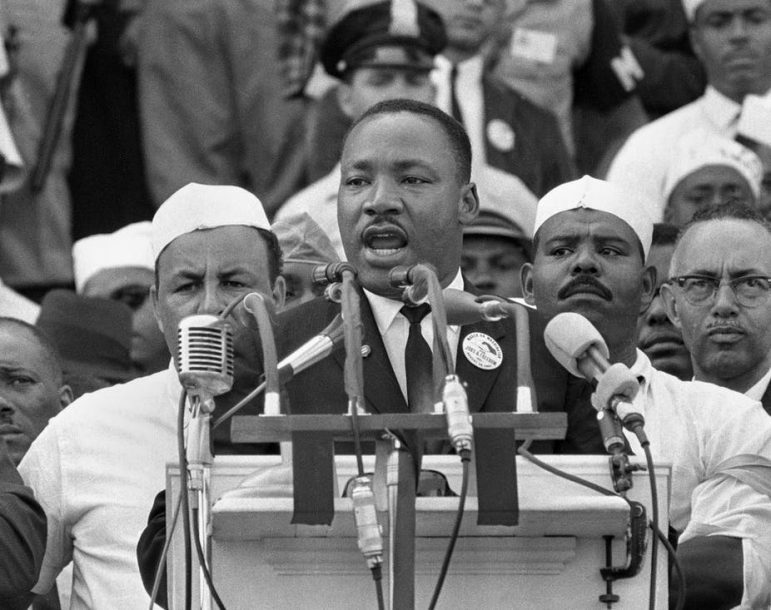 Exactly one year before his assassination in Memphis, King stood at one of the best-known pulpits in the nation: Riverside Church in New York. 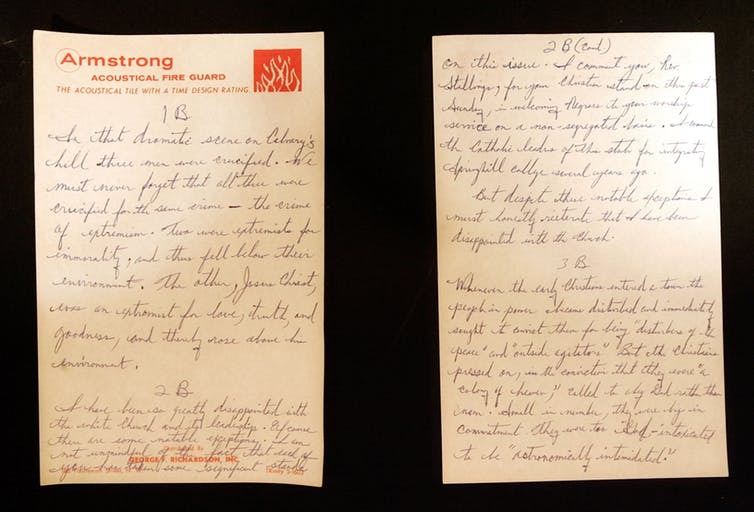 There, he explained how he had come to connect the struggle for civil rights with the fight for economic justice and the early protests against the Vietnam War. Now it should be incandescently clear that no one who has any concern for the integrity and life of America today can ignore the present war. If America’s soul becomes totally poisoned, part of the autopsy must read ‘Vietnam.’ It can never be saved so long as it destroys the hopes of men the world over. King continued with a searching analysis of what linked poverty and violence both at home and abroad. While he had spoken out before about the effects of colonialism, he now made the connection unmistakably clear. I speak for those whose land is being laid waste, whose homes are being destroyed, whose culture is being subverted. I speak for the poor in America who are paying the double price of smashed hopes at home, and death and corruption in Vietnam. He remained, to the end, a prophet of nonviolent resistance. But these three key moments in King’s life show his evolution over a decade. This remembering matters more than ever today. Many states are either passing or considering measures that would make it harder for many Americans to exercise their fundamental right to vote. This would roll back the huge gains in rates of political participation by racial minorities made possible by the Voting Rights Act of 1965. At the same time, there is a persistent wealth gap between Blacks and Whites. Only sustained government attention can address these issues — the point King was stressing later in his life. King’s philosophy stood not just for “opportunity,” but for positive measures toward economic equality and political power. Ignoring this understanding betrays the “dream” that is ritually invoked each year.